Faith Health Transformation / Programs and Partnerships / Just Eating? 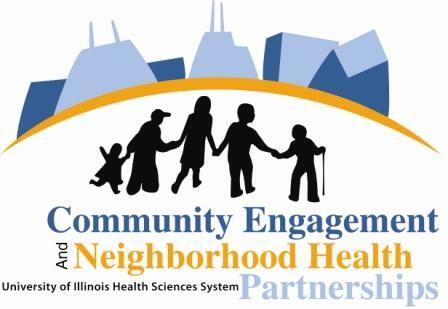 Home » Programs and Partnerships » Just Eating? Check out the Just Eating? Practicing Our Faith at the Table Curriculum! 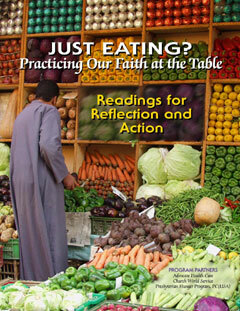 Advocate Health Care’s Congregational Health Partnerships program spearheaded this collaborative project to develop a curriculum for Christian congregations that explores eating as a practice of faith. Just Eating? was created to help people of faith find deep and creative solutions to the growing issue of obesity in our communities by drawing on the teachings and practices of our faith traditions. The Center uses the Just Eating? curriculum as a tool to engage faith communities in addressing food access, obesity prevention, and health issues. We regularly hold workshops to orient congregational leaders to the curriculum and prepare them to use it. Download all versions of the Just Eating? curriculum. If you’d like to host a workshop in your congregation, contact us and we’d be happy to work with you to set one up. Our project partners were Church World Service and the Presbyterian Hunger Program. The project was funded by a Practicing Our Faith Grant from theValparaiso Project on the Education and Formation of People of Faith, and theGenesis Fund of the United Church of Christ. Jennifer Halteman Schrock wrote the curriculum.